"One of the minarets of the Idmadutdaulah tomb. 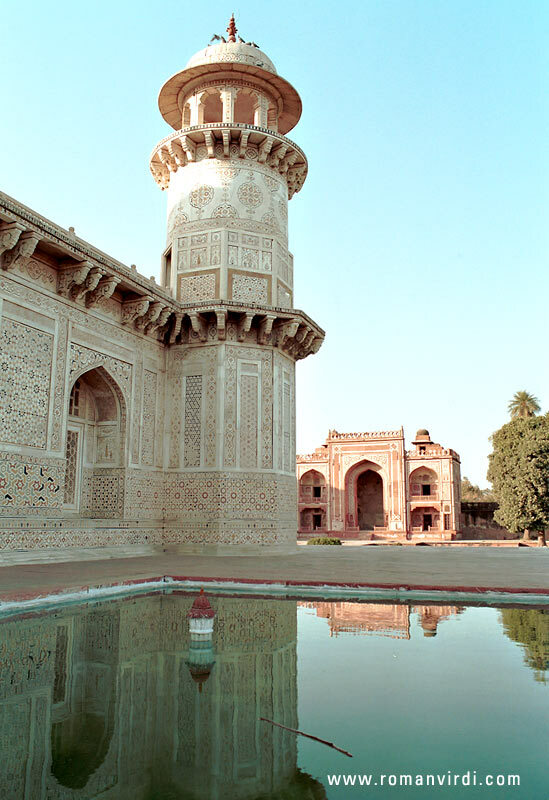 It was the first tomb built with marble, paving the way for the Taj. It's scale, design and attention to detail cannot be compared to the Taj, however"